Thought the soon-to-be extinct Focus RS was the ultimate fast Ford? Then think again! Allow us to introduce the British-built MS-RT Transit Custom – a rally-inspired van that’ll be priced from £32,995 when it arrives in spring. Developed in conjunction with M-Sport Ford Works Rally Team – Ford’s WRC partner – this is no ordinary builder’s jalopy. The standard Transit Custom is quite plush itself by van standards, but the MS-RT takes things to a whole new level with a host of motorsport-inspired touches. On the outside, you’ll find a bodykit that incorporates a unique front bumper with diffuser, an enhanced grille, wheelarch extensions, beefed up side sills and a set of OZ 18in race-spec alloys. 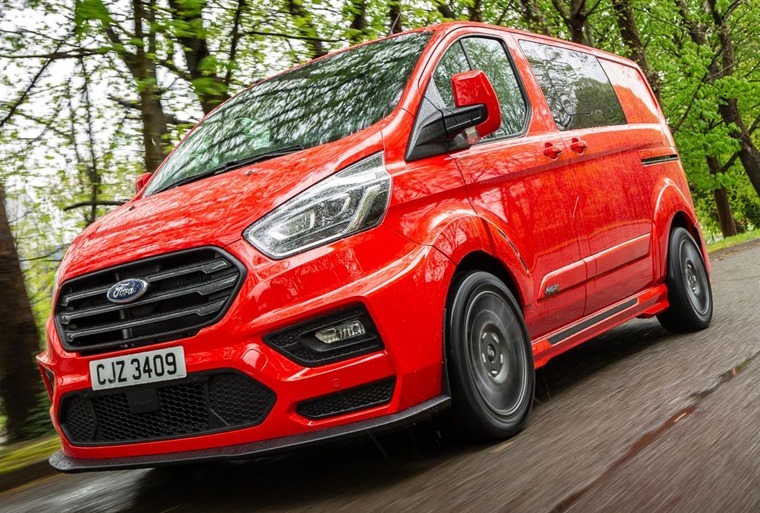 There’s also a handcrafted twin-exhaust system, lowered Eibach suspension and, to top it all off, a roof-mounted spoiler – a rattly roof rack for ladders might not be advisable on this particular Transit. 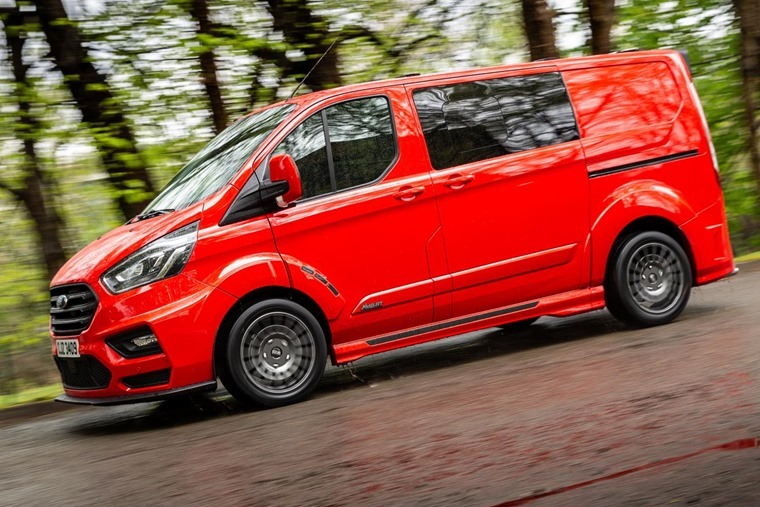 It can be specified as a panel van or double cab in either standard- or long-wheelbase guise, too. On the inside, you’ll find hand-stitched Nappa leather upholstery, Alcantara sports seats, a square-bottomed sports steering wheel along with a host of carbon fibre trim pieces and MS-RT carpets. 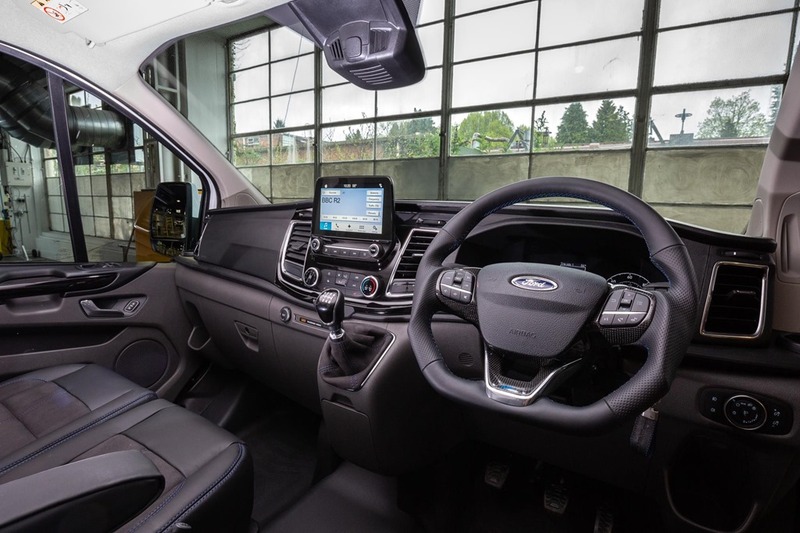 Ford’s latest Sync3 infotanment system is standard too, as are HID headlights, a heated windscreen and LED loading lights in the back. All MS-RT Custom Transits come kitted out with Ford’s torquey 168bhp 2.0-litre Ecoblue diesel which, although not as potent as a Focus RS, delivers 405Nm of torque – plenty enough to make this a truly potent load-lugger. The engine can be had in conjunction with a manual or automatic – both six-speed units. Built at the MS-RT factory in South Wales, the best thing is that this isn’t a limited edition – you’ll actually be able to order one. 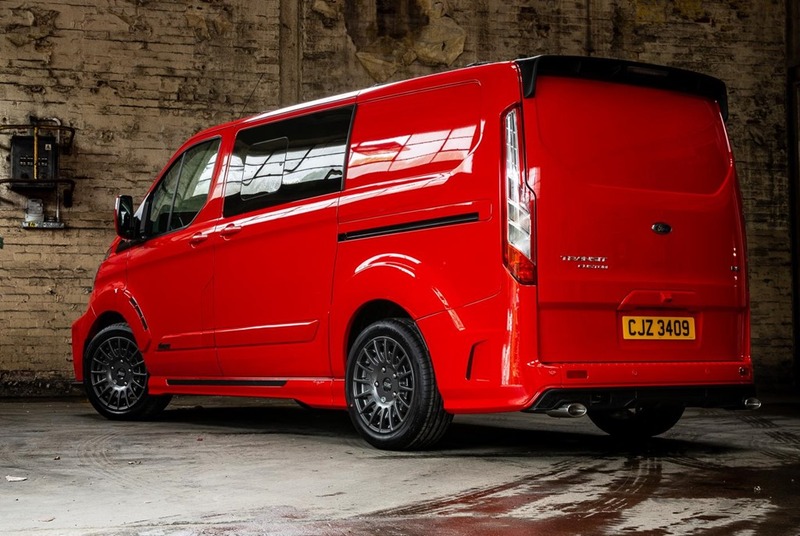 No lease deals are currently available on the MS-RT, but you can check out the standard Transit Custom here.